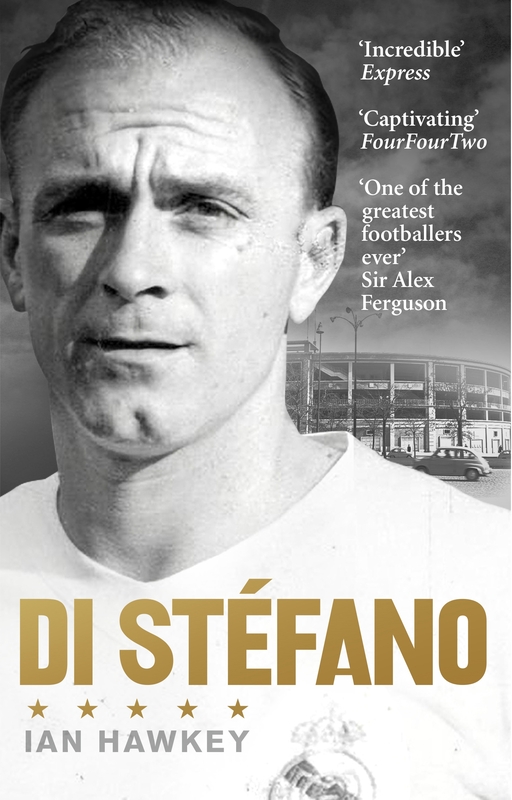 Pele, Best and Maradona everyone has heard of, but to the true football cognoscenti Alfredo Di Stefano, the magician behind Real Madrid’s five European Cups in a row, is the greatest of them all. Over 20 years, Di Stéfano was the guiding force behind three teams in three countries: at River Plate in his native Argentina; at Millonarios of Bogotá in Colombia; and then in 1953, after one of the most bitter transfer tug-of-wars in sporting history, Real Madrid. There he became football’s first global icon, nicknamed the striking ‘Blond Arrow’ for his powerful stamina, tactical versatility and precision goal scoring. He would lead Madrid as a team whose playing style others learnt from, whose stylishness was envied and whose widespread appreciation elsewhere help portray Franco’s otherwise isolated and right-wing Spain in a more flattering light. By the time he retired, Di Stefano has changed Spain as a nation, culturally and politically, and his rebellious pioneering career set new benchmarks for his sport in the epoch of perhaps football’s greatest transformation. This is his complete story, including candid and exclusive interviews highlighting his journey from humble beginnings to emerging as one of the first global sport superstars that we so commonly see today. Love Di Stéfano? Subscribe to Read More to find out about similar books.